Get ready December 1st! 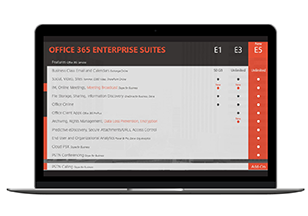 for Microsoft prices high-end Office 365 E5 at $420 per user per year. No Suit, No Ties, Only Smarts! Bring your projects to life at the speed of a company defined by acceleration: Cyclotron.